Abigail's Alcove: Getting Clair Huxtable Out of My Head! In chatting with my husband today, I realized most of my troubles with my first trimester pregnancy symptoms are in my head, not in my body. I'm counting myself as a "poor excuse for a Mother" right now, because I suffer from a complete lack of realistic expectations of motherhood in general, and "motherhood while pregnant with a fifth child" in particular. My favorite job as a kid was "camp counselor" and I consider myself a "camp counselor" kind of Mom. I'm happiest when my kids and I are having a grand time designing some sort of fun project together. High energy, laughter, and loudly singing show tunes--those are not really a big part of my life motherhood right now that I'm feeling tired, quesy, and "green around the gills" for most of the day. 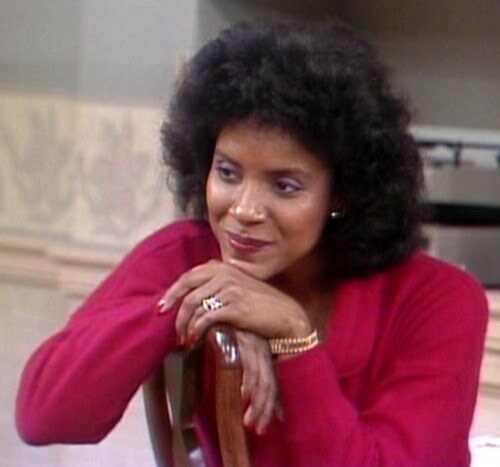 If the perfect "Mom" in my head is Clair Huxtable, a Mother of five who appears to be always witty with her husband, always engaged with her children, and with perfectly coiffed hair to boot-- no wonder I'm feeling like a failure at this stage in my life. So Johnny and I talked about "reframing" my interior monologue to make it slightly more likely that I stay out of the crazy house during this fifth pregnancy. I therefore submit the following resolutions. Number One: Resting counts as an activity while I'm pregnant! I make the mistake of not really counting Baby Olive as a "real kid" until she (or he) appears outside the womb. This is false! As a pregnant Mom, resting counts as an activity equal to rocking Baby Tess to sleep. Taking naps while pregnant does not count as "shirking" my Stay-at-home duties. I need to stop mentally judging myself as harshly as if I were spending all the time holed up in my bedroom watching HGTV reruns and eating chocolate bon bons. Number Two: Dinner is my primary domestic contribution right now. I'm not going to get all pharisaical on this topic, and there is plenty of room for misses in this area. In general, however, I will try my best to get dinner on the table before my husband gets home from work. Cleaning can wait until the weekend. Laundry can wait. Home-schooling doesn't even need to happen each and every day. But my family always needs to eat! If I get something easy into the oven by 4:30 PM, then I make a smooth and happier night happen for everyone else. So in my mind, if I get dinner made each night I get to check off the "good Mom" box in my head, even if the floors are messy and no one has seen fresh sheets on their beds for more than a week!